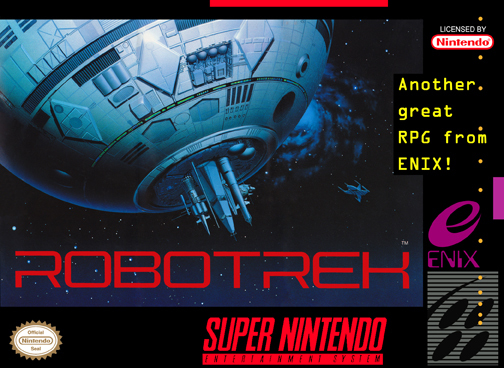 Robo Trek for Super Nintendo has you torn between helping your father fight the Hackers and sneaking into the basement to look at his latest invention. The rest of the game is an RPG that will take you to another dimension as you search for answers and the truth. For 1 player.